Awesome bullfighting CBG set. CBG is known for its toy soldiers. The box is the audience watching the bullfighting. The pieces are pristine. No loss of paint. Like it was purchased and just put away. Box is in good condition. Not bent up etc but does have two spots on the top (see photo). 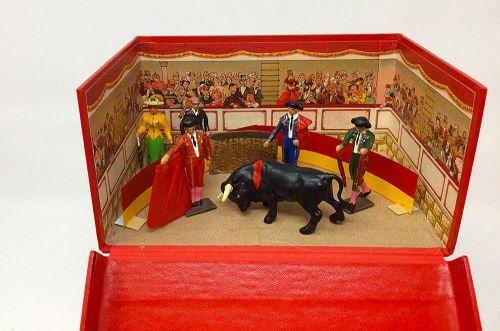 It consists of 3 bullfighters, bull, barrier in two pieces, a barrier to get away from the bull, and a couple. Also included is the tag that was in the box. 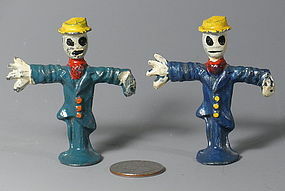 Two American miniature metal scarecrows, hand painted, they are marked: Made in USA 41/12. 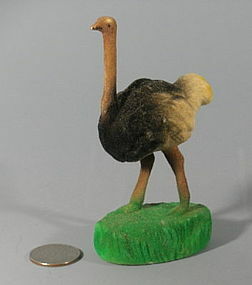 Measurements: 2.5" high x 2.25 across arms.